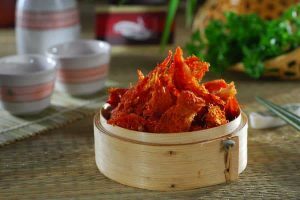 For a lot of people, the only thing they seek from these nests is the taste, and it certainly is one of the finest delicacies in China and the world. 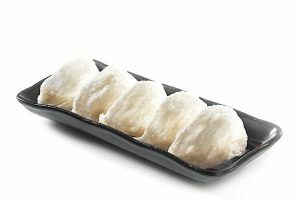 It is the food of the ancient Chinese dynasties and today it is much sought after around the world. But aside from that, these nests provide several health benefits. Why is Bird’s Nest Good for Your Health? There are a lot of health benefits to be derived here, but to keep it simple, regular consumption of these nests will enhance your general well-being. A bowl of bird’s nest soup is rich in glycoprotein, acts as an energizer and is rich in growth factors, all of which contribute to a stronger immune system. Some of the better known benefits of bird’s nest are smoothing the skin, enhancing your youthful appearance and complexion. Scientific studies have also shown that bird’s nest contains epidermal growth factor, or EGF. EGF is one of the substances that promote smooth, clear skin and repairs tissues. Taking bird’s nest in moderate amounts allows your body to take advantage of its nutrients and proteins, and this helps you recover from ailments while fortifying your immune system. There is evidence bird’s nest provides relief for respiratory conditions like chronic cough and asthma. Since it improves your general wellbeing, the elderly may use this to improve their health. Since ancient times this has been used as a medicine for fatigue, dry cough and phlegm, common ailments that afflict the elderly. Bird’s nest can also be used to increase appetite, relieve constipation and improve digestion. Bird’s nest health benefits are not just good for adults but children as well. 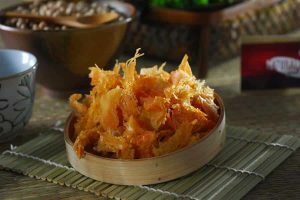 Children who eat bird’s nest will receive all of its nutrients. Blood nest are rich in minerals, amino acids, proteins and other nutrients which promote better health. There is also evidence that bird’s nest prevents flu and cold. At the same time it will also enhance the function of your kidneys and lungs, and the boost your immune system receives make you more resistant to ailments brought about the environment. We have spoken at length of its many health benefits, but there are many other reasons to take them. For instance, there is reason to believe that pregnant women will benefit from bird’s nest as it is full of nutrients they –and their unborn children- need. Eating bird nest soup is particularly beneficial for women when they take it during the pre-natal period. Consuming the soup during pregnancy strengthens their body, and this will also lead to faster recovery following childbirth. 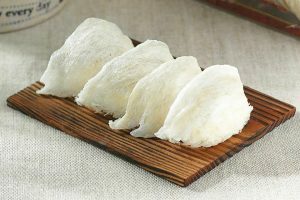 According to those who have eaten bird’s nest during pregnancy, they were able to sleep better, felt stronger and didn’t experience any hair loss. Blood bird nest is a good source of calcium, boosts your metabolism and strengthens your lungs and liver. In addition, men, women and children will benefit in terms of getting smooth skin. However, its benefits extend to digestion too as bird’s nest is rich in enzymes, one of the key ingredients to relieving indigestion. With the enzymes you will be able to digest food easily. As digestion is improved it also speeds up metabolism and can be used as a supplement for other food. Children in particular will benefit from bird’s nest as it is full of nutrients and minerals that will supplement their diet. If you or your child is on less than a healthy diet, you can use bird’s nest to make up for whatever nutrients your body lacks. For centuries, bird’s nest has been used to treat a wide range of ailments and diseases throughout China. It is best known for its anti-aging properties, but it is also known as an anti-cancer treatment. There is a growing evidence that bird’s nest has properties that can be used for treating influenza, cough, cold, increase physical strength, and many more. 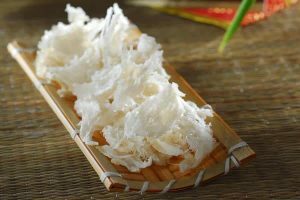 For the best results, edible bird nest should be consumed on an empty stomach, as consuming it before any heavy meals makes it easier for your body to take advantage of the nutrients. Very helpful and detailed information. Thank you. You are most welcome Emely! thanks for stopping by. Subscribe to Our Newsletter to Receive10% Discount! Please check your email and confirm your subscription to receive the 10% coupon code! Thank you. Why Chinese Eat Bird’s Nest and you probably should too! With an experience of over 20 years, our team has contributed significantly to the growth and development of the healthy foods, especially in edible bird nest products, and we take pride of our credibility and transparency of our productions. We strive to improve and keep growing as a company by providing high quality products and world class customer service. Subscribe to Our Newsletter to Receive 10% Discount!